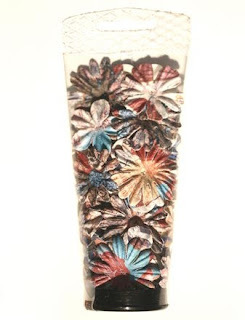 NEW Prima Collage Flowers IN STORE!! Alterable Tins - IN STORE! 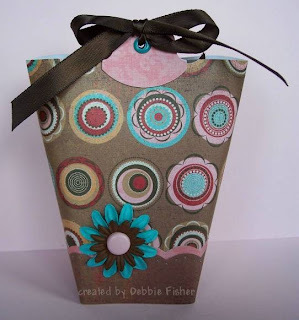 Friday Challenge #9 - Box in a Bag! NEW Prima Marketing Stuff IN STORE! Voila Felt Ribbon by Prima Marketing IN STORE! Copic Markers Available for PRE-ORDER! Friday Challenge #8 - Make it Edgy! Prismacolor Marker Set IN STORE! Tea Pot Tuesday - Challenge #10! 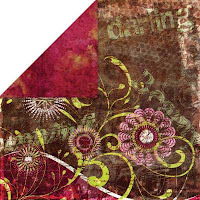 My Darling by BoBunny IN STOCK! 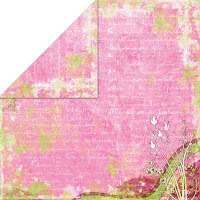 Pink Paislee's Spring Fling IN STORE! 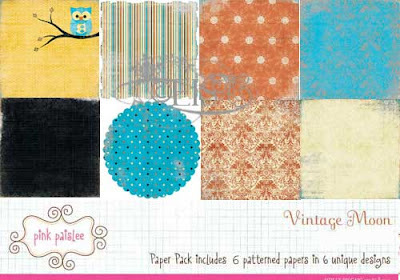 BasicGrey Holiday Chipboard IN STORE! FC6 - Friday Challenge - Shimmer and Glimmer! 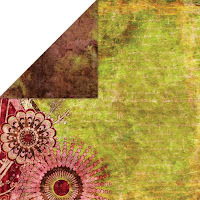 September Design Team Gallery Sneek Peek! 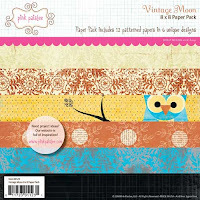 Pink Paislee's Vintage Moon Collection IN STORE! Welcome to Teapot Tuesday #12! From a distance these flowers may look a bit washed out and weathered which is always a fun kind of embellishment to work with, but if you get up close with these you will notice just how detailed they really are. 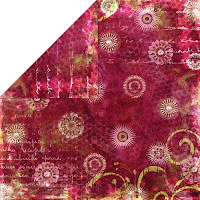 With patterns that reflect maps and vintage advertisements, to retro flowers and swirls. Our Rectangular Hinged Tin with Clear Window makes a great altered gift surprise! 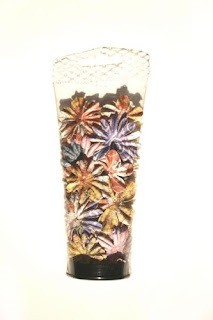 It's great for embellishing or using as a storage. These rectangular hinged top containers are shallow, "tin" (steel) containers with covers that are hinged on one side. Tins are food grade, have no sharp edges, all edges are rounded and are seamlessly formed from .0240 metal. 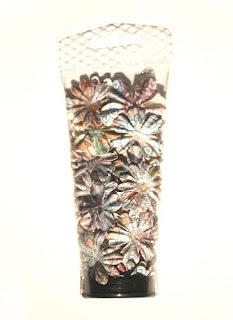 Size: 5 1/4 x 3 3/8 x 7/8...and get this....they hold approximately 24 Hershey Kisses! Welcome to Friday Challenge #9! 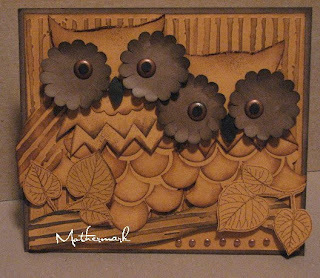 The Details: Use the tutorial found here to create this project. We Ask: That you use keyword FC9 when you upload your projects to the gallery so we can all see your beautiful work! Prima Paintables, 12x12 watercolor sheet. 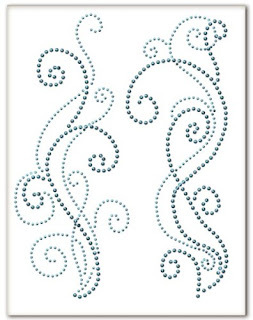 Light Blue Stud Swirls on an 8 1/2 x 11 Sheet. Self Adhesive Embellishments. These Voila! felt strips will have your head spinning with excitement! With the Holidays so quickly approaching these strips would be perfect for your holiday cards and gifts! The Voila! 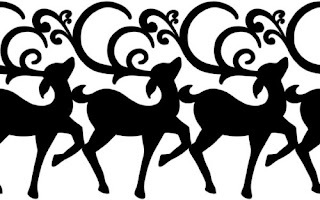 items are detailed designs of superior quality and are self-adhesive. Available in black only. 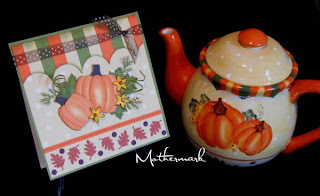 It's Teapot Tuesday again....and fall is in the air! Cindy is at it again....making a card to coordinate with a teapot in her collection! If you choose to join in the fun....there is no deadline...just fun!! Make sure you put TPT11 in the keywords section of your upload page! COPIC Sketch Markers with its Super Brush is the perfect tool for creative expression in fashion, graphics, textiles, fine arts lettering and calligraphy. It paints as well as it draws. It's oval body profile is roll resistant on working surfaces. Durable polyester nibs come in Medium Broad and Super Brush - a soft, flexible, fast-flowing brush for delicate or bold expression. Refillable with the standard COPIC Various Inks. Solid polypropylene body is both smooth and comfortable for a perfect, controllable grip. Individual sketch markers retail at $5.95 each. The price is going up January 1st, 2009. 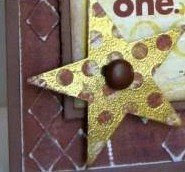 We have tried to give the coordinating colors to match Stampin Up Cardstock. Please use your own judgement on the color selection. This is our comparison to the SU colors. Welcome to Friday Challenge 8! Challenge: Make It Edgy! 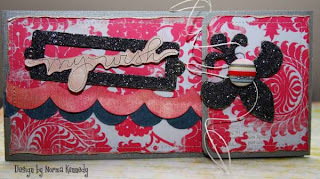 Embellish the edge of your card somehow to make it edgy.Examples: scallops (punches, scissors etc) or pinked edges. Use whatever medium you'd like, just make it edgy! Keep straight paper cuts to a minimum. 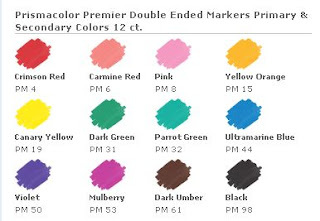 Now in the store....Prismacolor Marker set of 12 primary and secondary colors! Artists' quality art markers for every level of expertise. Advanced ink formulations provide rich color saturation with smooth, silky ink flow and coverage. Different line widths available with each double ended art marker. Single ink reservoir for a perfect color match end to end. 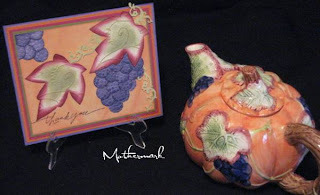 Welcome to Teapot Tuesday Challenge #10, where we endeavor to make cards inspired by teapots! There are no rules, no deadlines....just make a card based on how you were inspired by the featured teapot! Pop in to the challenge thread and see *Whoooooo* might be playing and share your version! Imaginisce: Fairest Of Them All Collection - PREORDER! Coming Soon to our store for you!! 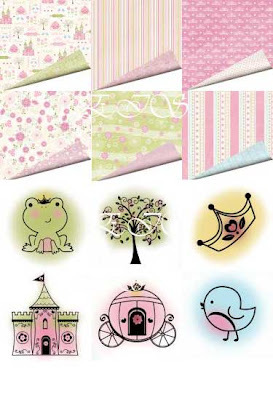 Imaginisce's Fairest Of Them All Collection. This is a glitter paper collection with stamps!! These pretty pink glittery designs are truly magical and they won’t disappear at the stroke of midnight! 1- Be Back By Mignight! 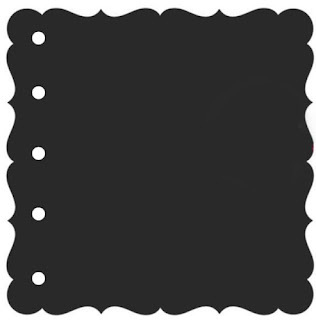 Cardstock is 65 lb double-sided cardstock. Stamps are approximately 2x2 inches. Check out the store for the entire collection of brads, stickers, papers and stamps which can also be purchased individually! One 6x13 sheet of cardstock weight coordinating stickers. 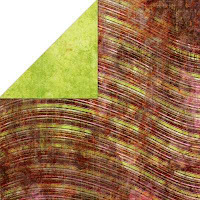 Challenge: Incorporate rub-ons on your project. These little lovelies are a fun way to add delicious detail or a fun focal-point to any project. Show us how YOU incorporate rub-ons into your work!!! Please use keyword FC7 when you upload your projects to the gallery so we can all see your beautiful work! 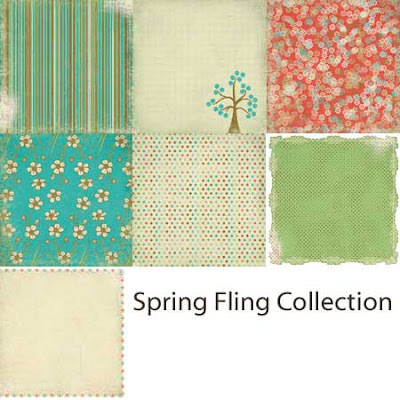 Spring Fling Collection by Pink Paislee! Welcome to Teapot Tuesday #9! 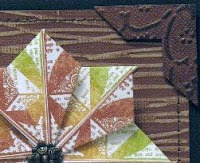 Cindy is back with another challenge to make cards inspired by teapots. The rules for this challenge are easy because there are none! Well, maybe just one! I'm late with the announcing of our Friday Challenge 6 from September 5...but you still have time to join us! There is no deadline and we always welcome forum and gallery participation! Create something shiny with the product of your choice. 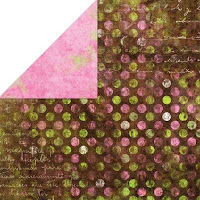 Be it Glimmer Mist, Glitter, Foil, Flocking,Chalk, Stickles or Glitter Glaze. If it shimmers and shines than use it. 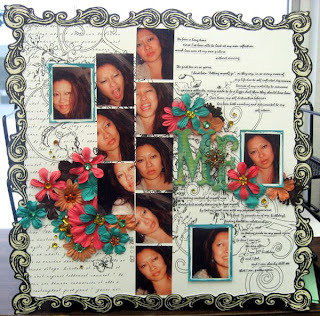 Basic Grey 12x12 Collections packs now $5.00 off! **excludes Ambrosia, Eva and Offbeat. Welcome to our Design Team's 2nd Gallery. This month's theme is Fall & Fellas and was chosen by Michelle. This month we are featuring cards for the guys in our lives: fathers, brothers, husbands, sons and nephews. Check out the gallery for tons of great ideas and inspiration! I have to say....the design team gallery that is opening on Friday is full of some fabulous stuff! 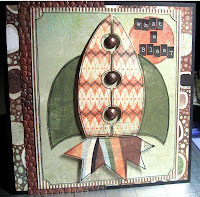 Our Guest Designer PaperSquares has joined in the fun....and we're loving what she's shared! Welcome to Teapot Tuesday #8! The way Cindy looks at it, until someone figures out how we can all get together in person for a cup of tea on a Tuesday morning, we will just have to settle for getting together to make cards inspired by teapots. The rules for this challenge are easy because there are none! Well, maybe just one! No coffee pots allowed! 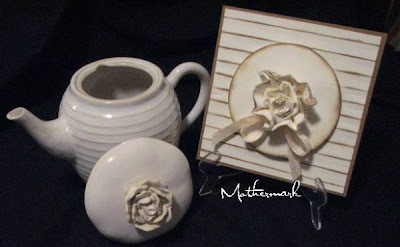 Check out her picture of this week's Teapot and her sample card. Then you make a card based on how you were inspired by that Teapot! No rules, no deadlines. Have Fun and thanks for joining us for Tea this Tuesday morning! (or whatever morning you get around to making your card! 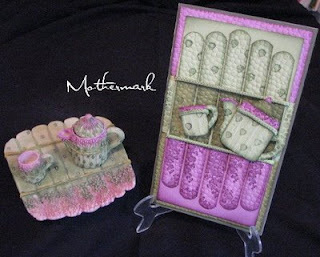 )Here is her card and here is her card and Teapot #8. Make sure you put TPT8 in the keywords section of your upload page! Every once in a blue moon, a collection comes along that will have you crafting into the wee hours of the night. The Vintage Moon collection will turn you into a night owl for sure!! 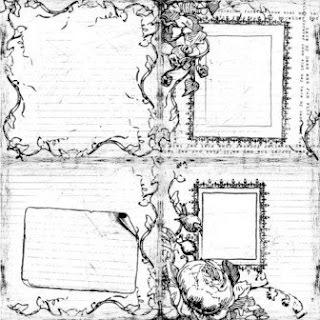 Also, for the cardmakers among us there is the 8x8 pad as well! !